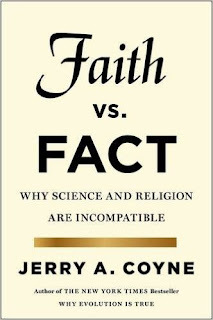 Vital Remnants: Is Jerry Coyne's new book the worst atheist book ever written? Great! Not reviewing or reading this book will give you time to finish your post on traditional and modern logic. "P and (Q or (If R, then S))" ? "[S]ince traditional logic doesn't believe in truth tables", what does a traditional logician do, other than perhaps say, that's not a practical example, so we won't bother with it? What do you mean by "assess"? Do you mean determine whether it is true? If "P" is true and "Q or (If R, then S)" is true, then it's true, otherwise it's false because conjunctive statements are truth conditional. The truth of "Q or If R, then S" depends on whether you are using an inclusive or exclusive disjunction. If inclusive, then if both disjuncts are false, then it is false, and if either or both disjuncts are true, then if you are using the statement hypothetically, it is indeterminable and if you are forcing it into the truth conditionality, then it is true. "If R, then S" is false if "R" is true and "S" is false, otherwise it is indeterminible unless you consider such statements truth conditional (which, again, I don't), in which case it is true.